HAWTHORN has delisted premiership player Will Langford, who looks set to retire after his Hawks career was cut short with one year still remaining on his contract. 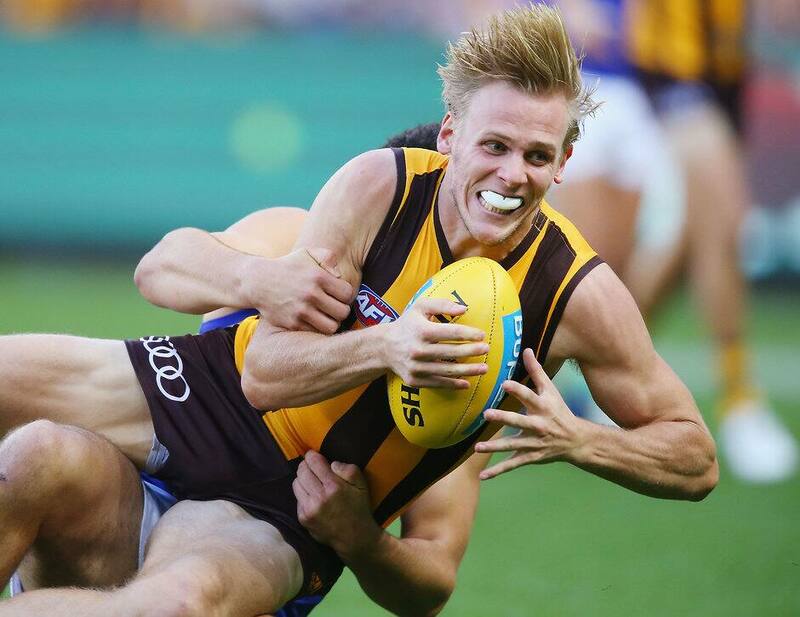 However, as flagged by AFL.com.au earlier this week, Hawthorn has re-signed Ryan Schoenmakers, David Mirra, Teia Miles, Ricky Henderson and Marc Pittonet to one-year deals, while midfielder Dan Howe has penned a two-year extension taking him through to 2020. Hawks rookie Harrison Jones is also believed to have quietly re-signed earlier in the year. Meanwhile, Mirra, James Cousins and Conor Glass have been upgraded from the rookie list to the senior list ahead of the 2019 season. Langford, who was signed through to the end of 2019, played a starring role in Hawthorn's 2014 premiership victory, kicking three goals in its Grand Final win over Sydney. However, he managed just six games in 2018 having battled form and fitness issues. Hawks footy boss Graham Wright said the call was made at the end of the year to delist Langford, who now appears set to call time on his footy career after 72 games across eight years with the club. "At the end of the season we sat down with Will to discuss his future," Wright said. "Will made it clear that he wanted to be a one-club player and that if he wasn't playing for the Hawks then he would prefer to move on to the next chapter in his life. "That being the case we reached a mutual decision to delist Will and we wish him all the best in life outside of football. "Will leaves the game as a premiership player and we are incredibly grateful for his service to Hawthorn over the past eight years." Langford is the eighth Hawk to depart the club via retirement or delisting this year, while a further two players left via trade.